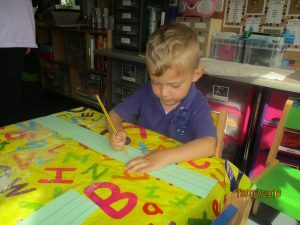 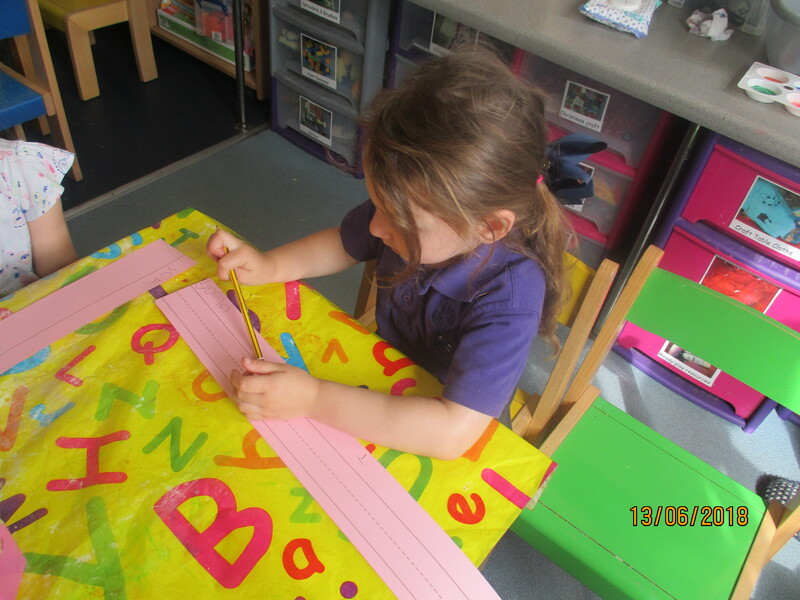 Our pre school children are getting school ready and have been practising writing their names. They are attempting to hold the pencil correctly using the tripod grip and their preferred hand. 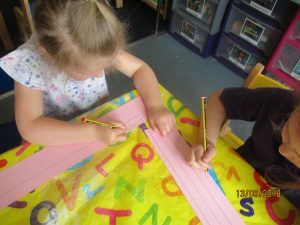 We have been practising our letters in our name and those that are familiar to us to produce the correct letter formations. 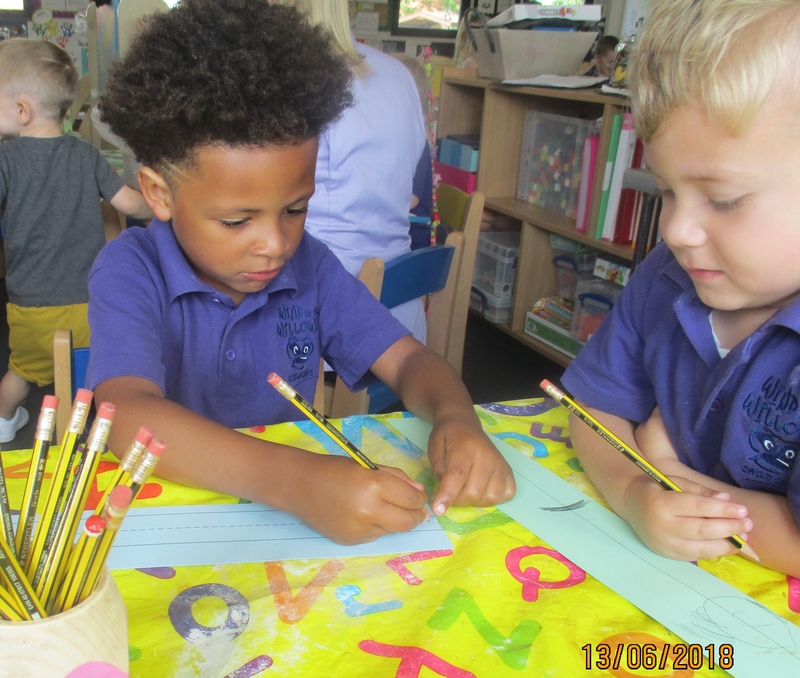 The children have shown good hand to eye co-ordination and great control when writing their own name and using the tools effectively and for a purpose. 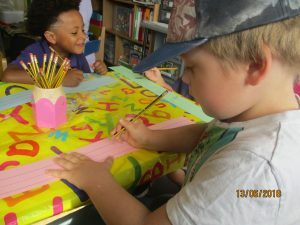 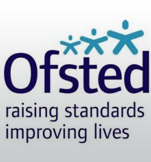 This is helping to develop the children’s writing skills and also their communication and physical skills.